Syrian troops and allied militiamen enter town of Albu Kamal, edge closer to ousting ISIS. Syrian troops and allied militiamen on Wednesday entered the jihadist-held town of Albu Kamal, edging closer to ousting the Islamic State (ISIS) group from its last urban stronghold in the country, AFP reported. Entry to Albu Kamal follows a series of stunningly quick defeats for ISIS in the province as well as the jihadists' loss of their de facto capital Raqqa further north. 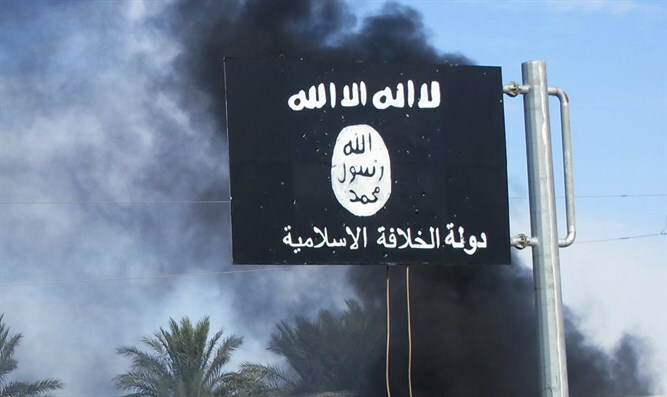 "Army troops and allied forces broke through Daesh defenses and entered Albu Kamal, waging fierce battles inside the town," state news agency SANA reported, using the Arabic acronym for ISIS. It said the fighting would pave the way for Syrian troops to regain full control of the border town, just hours after they and pro-regime fighters surrounded ISIS fighters there. Last week, Syria's army and allied fighters captured the city of Deir Ezzor from ISIS. The group has come under attack from two separate campaigns, including the regime's Russian-backed assault, and another operation by the U.S.-backed Syrian Democratic Forces, an alliance of Kurdish and Arab fighters. In addition to its defeats in Syria, Iraqi forces have closed in on the border area from the east, seizing the town of Al-Qaim from the jihadists last week. ISIS overran vast swathes of oil-rich Deir Ezzor province in 2014 during a military sweep across Syria and Iraq, where it declared a self-styled "caliphate". Tens of thousands have been displaced by fighting to oust ISIS from the area, many living in desperate conditions in desert camps. In recent weeks, an estimated 120,000 people have been displaced from Albu Kamal alone, said Linda Tom from the United Nations' humanitarian affairs coordination office in Damascus.